CyclingPub.com - European Championships - Matteo Trentin: But this is a cyclocross race, what are we doing here? European Championships - Matteo Trentin: But this is a cyclocross race, what are we doing here? 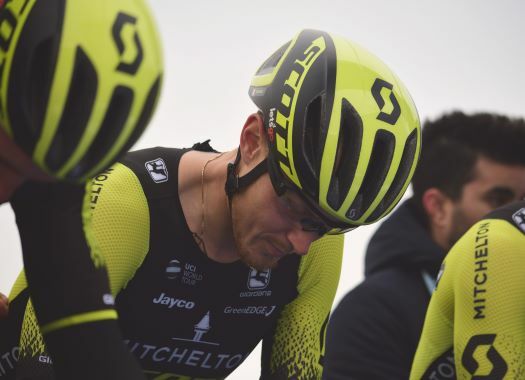 Matteo Trentin (Mitchelton-Scott and Italy) has become the new European Champion after sprinting to the victory at the race in Glasgow. The rider crossed the finish line ahead of cyclocross stars Mathieu van der Poel and Wout Van Aert. The Italian was part of the last breakaway of the day and he had the company of Davide Cimolai, in that group were also the two cyclocross riders. "When I saw van der Poel and Van Aert I told Davide Cimolai: But this is a cyclocross race, what are we doing here?," Trentin joked at the end of the race. But the rider could beat the two men and took the European title. "It's incredible, we wanted to be always in the front because we didn't want to risk it," commented the rider. "It was a great job from the entire team. The race was made even harder by the weather, but we managed to interpret it the best we could. "There was a moment of worry a few kilometres from the end when there was a fall but it didn't affect me. I turned around and saw that Davide also managed to stay 'on his feet'. Before that crash, we had decided that we were going to attack and after we had to evaluate then how to act. The fall probably did us a little favour."